The success story of Amazon’s Alexa is one of the most impressive ones since the market entry of the iPhone in 2007. Combined with the smart speaker “Echo” an impactful team is built that is just the starting point of the voice driven future of technology. There’s still something very fascinating about entering a room, calling out the word “Alexa” and then being able to use your voice to make actual things happen in your home. For this to work Alexa is using her so-called skills. In combining the smart speaker and voice assistant, a new command centre for the interlinked smart home of tomorrow is being built. Connected smart devices can easily be controlled and make everyday tasks easier or even automated. It is especially intriguing how fast the functionalities of Alexa Skills have grown in the last couple of years, counting more than 30.000 by now. We have been witnessing a boom of new skills being developed and the Alexa Skill Store continues to grow. Alexa Skills can be used for a wide array of different tasks. Some are helping to automate little tasks, yet others are actually able to save lives. Picking the most interesting and presenting some of the more unique options on how to use Alexa Skills is the focus of this article. You never know what is going to happen and statistics tell the story of most accidents happening at home. With the Alexa Skill “Ask My Buddy“, saved contacts can be called or messaged when reaching for your phone is impossible. This is especially useful for kids or seniors that might have fallen and can’t get up to call for help. Not necessarily a life-saver but in those moments when you are frantically searching for your phone it will feel just like it. This Alexa Skill can call your phone or even call out the last address where it was located in case you have lost it. To entertain yourself, this is a fun option as you are being asked different trivia questions throughout the day. Right answers will fill up your scoreboard and it makes for fun challenges with friends and family members. If you already have the fitness bracelet this Alexa Skill comes in handy. It will tell you straight to your face if you are reaching your fitness goals or if another run tonight should be had. Different members of a household can access their very own profiles. An Alexa Skill for an easy-going connectivity of the smart devices of your home. All your media needs will be covered by this Logitech App and your house controlled by your voice. The famous TED talks with their innovative and new perspectives are a crowd favourite. This Alexa Skill lets you listen to their whole library. In its original state Alexa does not let you send texts through voice. “SMS with Molly” changes this and adds the functionality of voice to text independent of the location of your phone. Need a reservation for a restaurant tonight? The Open Table Alexa Skill helps you to easily set up a reservation at your favourite spot. How do you say Fish in Japanese? This might be the question of the day for you. “Translated” helps you find the answer as it translates English into 30 other different languages. You can also hear the right pronunciation helping you to master the language. The quality of your life depends on the way you look at it. Stress factors of daily life can make it hard to stay connected to this simple truth. This Alexa Skill hands you your daily dose of positivity and encouragement to make your life more fulfilled and enjoyable. No matter which way we look at it, weather has a tremendous impact on our mood. That’s why we like to know in advance what we have to deal with and “Big Sky” is just the right Skill for that. It gives a detailed overview about all the weather data you need and lets you plan accordingly. 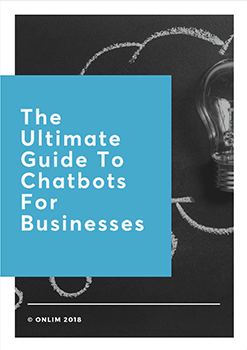 The selection of Alexa Skills we have presented to you in this article is just a fraction of what is actually available with this upcoming technology. 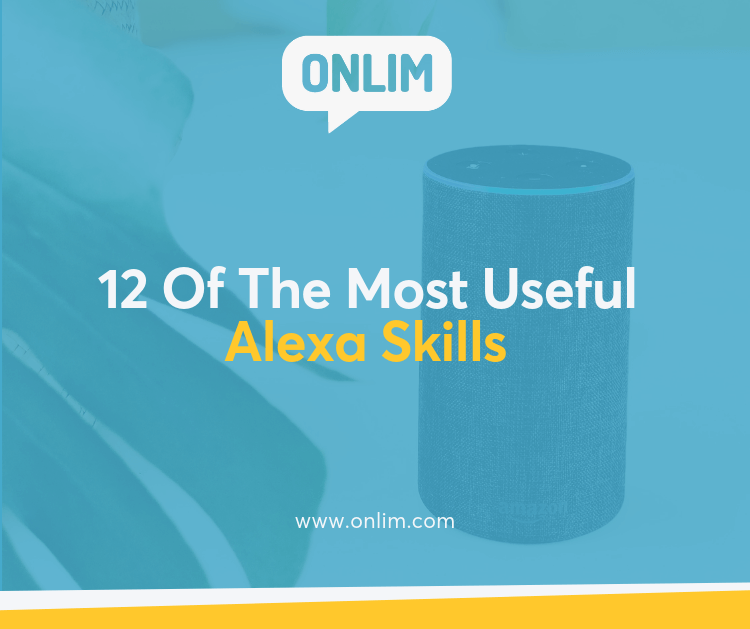 If you want to implement your own Alexa Skill, we at Onlim will be right at your side to implement your ideas and help you build high level Alexa Skills. Click here to find out more about how we can help you.